sepago has been very successful on the market since 2002 and supports its customers across Germany in their IT challenges. We are owner-led, independent and always committed with heart and soul. From classic Data Center Automation to Cloud Solutions, from IT Strategy Workshops to Managed Services – we always have a smart brain that knows all about it. Our powerful team puts your IT on track. As our service activities take place primarily in the German-speaking parts of Europe, you’ll find a compact overview in English here. Should you require further information about sepago in English, please contact uns via pr@sepago.de. Analysis and design, strategy and management decision documents, IT architecture and implementation, operation and managed services. The network is a central building block of the IT. On the one hand, it creates the connection between your physical data center and your cloud services. On the other, it connects the various terminal devices with your enterprise applications. Today, mobility is assumed for a digital enterprise and for modern workplaces, which extends the requirements for the network infrastructure. The secure and performant access to your IT and your data via smartphones, tablets, smart watches and other gadgets leads to complex processes that demand a differentiated access and control strategy for your IT architecture. With a powerful mix of virtualization, automation and cloud technologies, we develop the mobility strategy concept that best fits your existing IT infrastructure. The use of new IT technologies and a modern IT infrastructure lets conventionally organized enterprises evolve towards a digital business model. You overcome the discrepancy between a digital life that many people today take for granted and the often technically limited features of your workplace. Cloud computing offers enterprises many benefits to stay competitive: Scalable and therefore efficient IT resources, always current software, flexible access to the enterprise network for staff with simultaneously high security standards. In our Cloud Ready Workshops, we work out the matching requirements for your cloud architecture. Your individual concept develops from these. Finally, we use our tools to connect carefully selected cloud resources and cloud services to your enterprise network, so it’s all secure and and works well. Our focus is on the Microsoft Azure features. Many enterprises have already relied on Microsoft software for a long time, making an efficient switch of existing on-premises solutions to cloud resources possible. Citrix on Azure is another core theme of our cloud solution offerings. 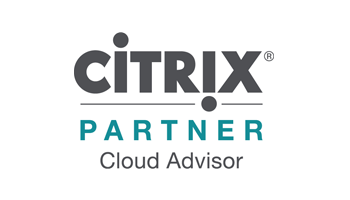 With Citrix and Microsoft, you benefit from the synergies arising from the swift and secure implementation and performance of your applications and virtual desktops via Citrix and the scalable, cost-saving IT resources of Microsoft Azure. Are you using your data center’s entire potential? Is your infrastructure ready for future cloud scenarios? We see the basis for a positive answer to these questions in the automation of the data center. Only automated processes allow repetitive tasks to be carried out predictably and cost-efficiently while laying the foundation for the implementation of hybrid cloud scenarios. We support you in the selection of the matching software components for the orchestration of your server topology. In doing so, we build on the solutions of Microsoft, our partner for many years, and on the professional virtualization of Citrix. The digitalization in enterprises continues to be a source of enterprise network attack points for hackers. Cyber crime does not seem to know any limits; the growing number of networked devices requires complex security mechanisms – while simultaneously keeping to internal compliance guidelines and strict data protection obligations. Is my IT infrastructure secure? What do attack series on enterprise networks look like, and how do I raise the hurdles for the attackers? Which technologies can reliably secure my enterprise IT? How do I adapt my processes to the new General Data Protection Regulation (GDPR)? How do I solve a security problem that has already occurred? It is our goal in our IT Security Workshops to prepare you as well as possible for the requirements that IT security poses for your enterprise and to support you on your way to a seamless security concept. sepago are the IT consultants for automated application provisioning, virtualization, cloud computing and IT security. We support medium and large enterprise customers on their path to digital transformation and ensure that users can work safely and effectively. Our conceptional strength, our business management knowledge, our technical expertise and the solutions of our partners Citrix and Microsoft flow into your IT projects. Founded 2002 in Cologne, sepago has grown to a team of more than 70 with three points of presence in Cologne, Hamburg and Munich. I agree that my data from the contact form will be collected and processed to answer my request. You can revoke your request at any time by e-mail to pr@sepago.de. 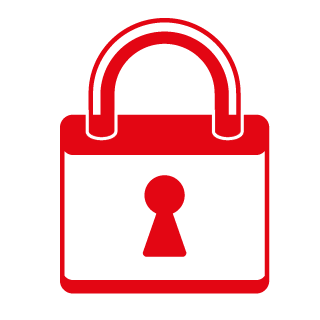 Detailed information on the handling of user data can be found in our data protection declaration.